Station Square Dental has been providing high-quality dental care in Oakleigh for over 60 years. You’ll find our modern and spacious practice located on the corner of burlington and hanover Street, just minutes from the local train station and Coles Supermarket. Our passionate and experienced team are led by Principal Dentist Dr Ron Patel. Dr Ron joined Station Square Dental in 2017 and has since played a large role in re-energising and modernising the practice. As a result, we now offer some of the latest technologies in dentistry, along with a wide range of oral health care services to compliment the skills of our dental team. At Station Square Dental, we see ourselves as a ‘People Practice’, as our philosophy is to take the time with our patients to fully understand and cater to their needs. We have a strong focus on preventive dentistry, emphasising early diagnosis and minimal intervention. Whilst in our care, we can promise you three things: a happy, fun, and caring team; amazing service; and exceptional dental technology and equipment. That’s the Station Square Dental difference. We pride ourselves on catering to you and your family’s dental needs to help you achieve and maintain lifelong oral health. This is why you’ll find popular treatments across general, cosmetic, and orthodontic dentistry, along with specialised services which are hard to find elsewhere. 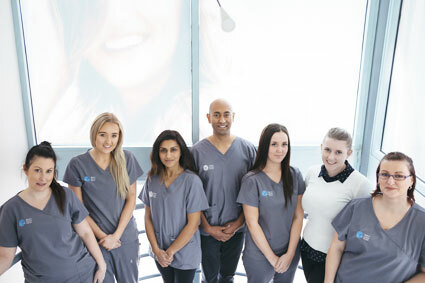 Our dental staff are highly trained in all facets of dentistry, including specialised fields such as endodontics (root canal therapy), implants, cosmetic dentistry, facial rejuvenation, adult orthodontics, worn teeth, and CEREC CAD/CAM technology. When it comes to assisting you on your oral health care journey, we want to be there for you and your family every step of the way. To experience our outstanding oral health care services for yourself, please schedule an appointment at our practice by calling (03) 9568 8911 today!